National Technical Systems (NTS) makes reasonable efforts to protect your personal information. As stated in our Code of Conduct and Business Ethics, we follow the applicable data privacy laws of the United States and all countries in which we operate, and even in the absence of such laws seek to respect employee privacy to the extent consistent with the sound operation of our business. 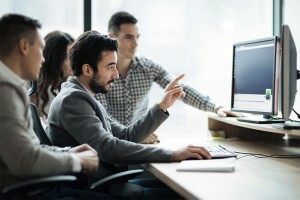 Employees with access to personal information about other employees must act diligently to safeguard the confidentiality of such information and to provide that information to others only when based upon a business need to do so. Determining, assessing, and executing employment-related actions and obligations. Designing, assessing, and administering compensation, benefits, and other human resources programs. Designing, assessing, and executing employment-related education and training programs. Monitoring and assessing employee conduct and performance. Sustaining facility and employee security, and health and safety. Making individuals’ names, images, and other items of business-contact information available by means of business cards, website postings and promotional media to NTS’s current and potential customers, suppliers, contractors, other business associates, and employees. Maintaining business records related to customers, suppliers, contractors, other business associates, and employees. Executing business communications, negotiations, transactions, and compliance with contractual and legal obligations. The United States Department of Commerce and the European Commission have agreed on a set of data protection principles and frequently asked questions to enable U.S. companies to satisfy the requirement under European Union law that adequate protection be given to personal information transferred from the European Economic Area (EEA) to the United States (the “U.S.-EU Safe Harbor”). The EEA also has recognized the U.S.-EU Safe Harbor as providing adequate data protection. 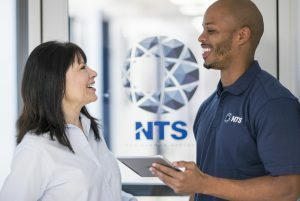 Consistent with its commitment to protect personal privacy, NTS adheres to the principles set forth in the U.S.-EU Safe Harbor (the “Safe Harbor Principles”). For more information about the Safe Harbor Program, please visit http://www.export.gov/safeharbor. If NTS intends to use personal information about individuals for reasons that are not consistent with the above, the affected individual will be given the opportunity to opt-out of that use or transfer. Sensitive information (e.g. racial or ethnic origin) will not be used or transferred for purposes inconsistent with the above unless the affected individual expressly agrees. NTS may transfer personal information of individuals to a third party acting as its agent (e.g., accountants, auditors, lawyers, and benefit vendors) if the third party confirms that it provides the same level of protection required by the safe harbor principles. In this case, notice and choice will not be provided to the individual unless NTS intends the agent to use personal information for a reason not consistent with the above. In the event the personal information is transferred to a third party who is not an agent of NTS, notice and choice will be provided. Individuals with privacy complaints or safe harbor issues should contact David Robertson, Chief Human Resources Officer, at (818) 591-0776.